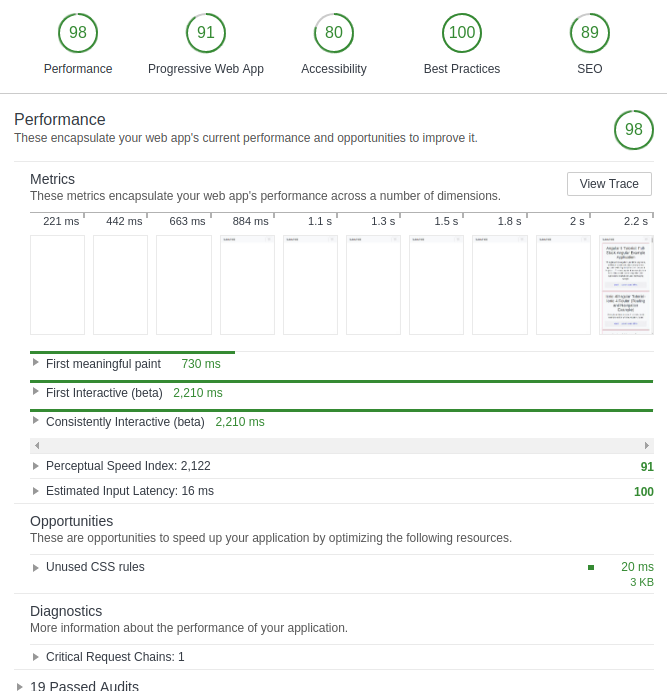 When styling websites or PWAs with CSS, you should analyze how CSS resources will affect performance. In this tutorial, we’ll use various tools and related techniques to help build a better PWA by focusing on CSS optimization. Specifically, we’ll remove the unused CSS, inline the critical path CSS, and minify the resulting code. The techniques can also be used to improve the performance of general websites and apps. We’ll be focusing on CSS optimization for PWAs since they should be fast and feel native on user devices. Progressive web apps (PWAs) are web experiences that bring the best of both worlds: native mobile apps (installable from a store) and web apps (reachable from public URLs). Users can start using the application right away from their web browser without waiting for a download, installing, or needing extra space in the device. Service workers and caching allow the app to work offline and when network connectivity is poor. Over time, the app could become faster as more assets are cached locally. PWAs can also be installed as an icon on the home screen and launched full-screen with an initial splash screen. Before learning how to audit a PWA for any CSS issues, you can get the code of a simple website with PWA features from this GitHub repository. The PWA uses an unminified version of Bootstrap v4 for CSS styling and displays a set of posts fetched from a statically generated JSON API. You can also use the hosted version of this demo, since learning how to build a PWA is beyond the scope of this tutorial. A manifest file. A JSON file provides the browser with information about the web application such as name, description, icons, the start URL, display factors etc. HTTPS. PWAs must be served from a secure origin. 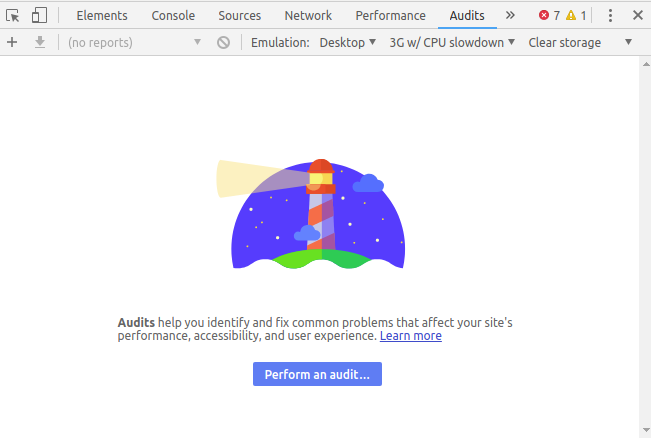 Lighthouse is an open-source auditing tool developed by Google. It can be used to improve the performance, accessibility and SEO of websites and progressive web apps. Lighthouse can be accessed from the Audit tab in Chrome DevTools, programatically as a Node.js module and also as a CLI tool. It takes a URL and runs a series of audits to generate a report with optimization suggestions. 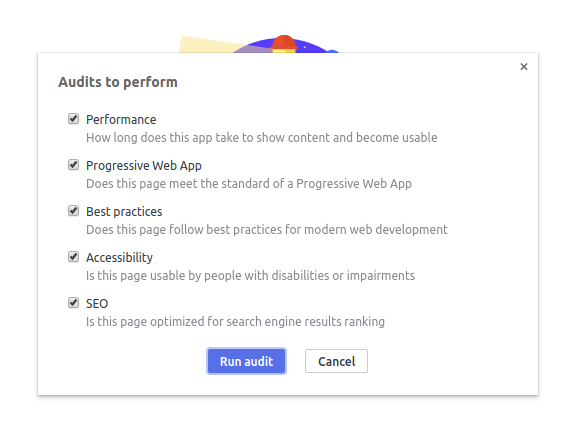 Next, click on Perform an audit…. A dialog will prompt you for the types of audit you want to perform. Keep all types selected and click the Run audit button. The scores are calculated in a simulated environment. You’re unlikely to get the same results on your machine because they depend on hardware and network capabilities. From the report, you can see a timeline which visually shows how the page is loaded. First meaningful paint, First Interactive and Consistently Interactive are key time points that describe how fast the page loaded. Our goal is to optimize these metrics according to the Critical Rendering Path. parses and renders as necessary. Page performance should improve if the number of render-blocking assets is reduced. 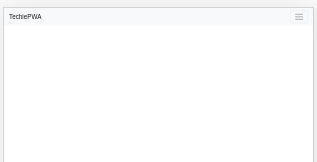 Lighthouse estimates that 96% of the CSS in the bootstrap.css file is unused by the application. If we eliminate the unused CSS, network activity will reduce accordingly. All the tools described here can be used as part of build system such as webpack, Gulp or Grunt, but this tutorial uses them on the command line. The first argument is the CSS file to purify. The second argument is the HTML file to check for used styles. The -o option specifies the path and name of the result file to create. The -i option instructs the tool to display information about how much CSS was removed. In this case, we see PurifyCSS has reduced the file size by ~ 84.5%. This is not quite the 96% identified by Lighthouse, but the tools use different techniques. You can also use other tools to remove unused CSS such as uncss and you can read this article by Addy Osmani for more information. You can now remove the original styles/bootstrap.css file and rename styles/purified.css to styles/bootstrap.css. Extract the critical CSS from bootstrap.css and inline it in the index.html file using a <style> tag. This reduces the number of HTTP requests and is less code for the browser to parse. Deliver the remaining non-critical styles after the top of the page has rendered. We’ll use Critical CSS Extractor, a Chrome extension to extract Critical CSS rules for the current page. Once you’ve installed this extension, you’ll see a new panel — Critical CSS — in DevTools. Open index.html and add the content of this critical CSS file within a <style> tag in the HTML <head>. The CSS file is still required with all styles, but we can minify it to reduce its size. csso — a CSS minifier with structural optimizations. The cssnano guide provides more information about configuration presets. The performance score has improved. Lighthouse still reports further unused CSS rules could be removed. This could occur because PurifyCSS doesn’tt remove similar named selectors. 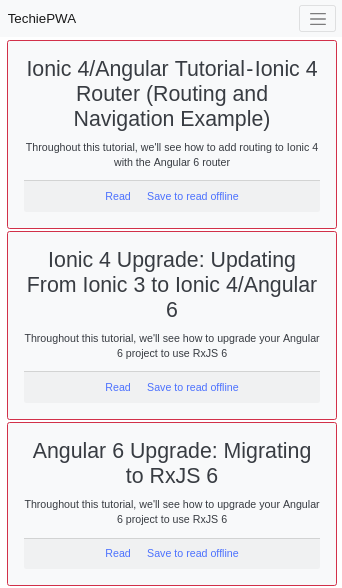 The final optimized PWA is available from this GitHub repository. purgecss, a tool for removing unused CSS. In this tutorial, we moved towards CSS optimization by removing redundant code, inlining critical assets and minifying the resulting CSS. As a result, the PWA will download quicker and render faster. 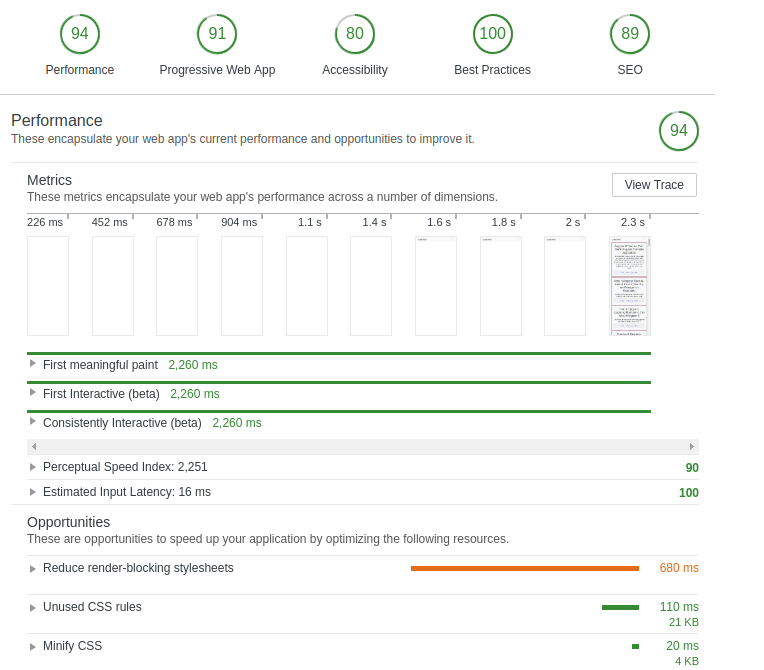 Similar tools and techniques can be used on your sites and apps for optimizing CSS to increase performance.